What is Garter Stitch Knitting? 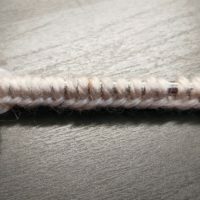 I hope you already know that there are 2 basic stitches in knitting: the knit(K) stitch and the purl(P) stitch. Garter stitch is perfect for beginners. Especially people who had learned the knit stitch and is raring to start on their first project. Garter stitch fabric is what you get when you knit every row. I have a couple of projects here made with garter stitch. The projects start from easy to more challenging. By working through these projects in sequence, I think you will also love garter stitch knitting. If you are an absolute newbie, you might want to start with a garter stitch scarf but they are boring even for me, the TV knitter. So, they didn’t make it to my list. This is a bag made up of several pieces of garter stitch squares. They are sewn up in a way that give the bag a hobo look. It’s really a very interesting design. You can size the bag by making bigger or smaller squares. This bag is made up of a single piece of garter stitch square. It is knitted on a bias starting with a 1-stitch cast on. If you hate casting on a lot of stitches, this project is just right for you. This cardigan called Corinne is knitted as a single piece (yay! No sewing up) in garter stitch and shaped using short rows. Short rows are not too hard. Here’s a video showing you how it is done using the Japanese technique. 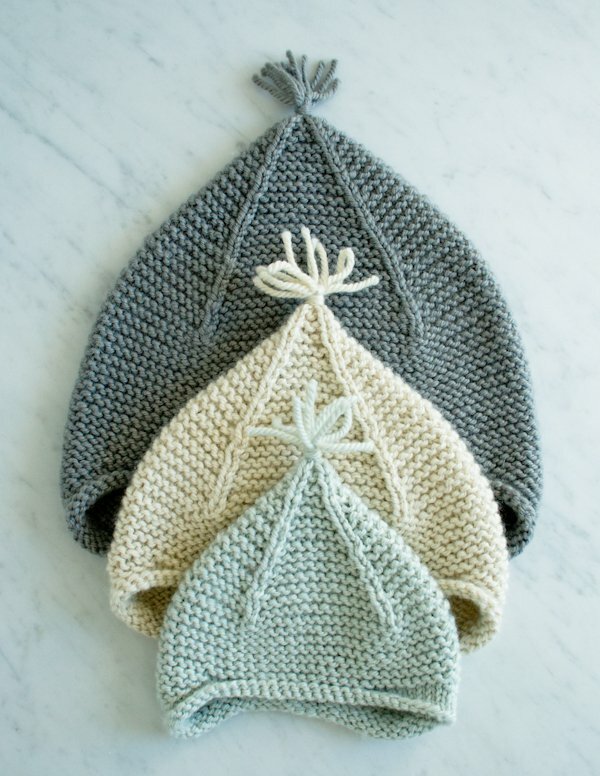 This is a sweet hat with sizes from baby to adult. It is seamless and shaped using short rows. Weaving in the ends in garter stitch. So simple. I hope you will try some of these projects and let me know how it went for you. 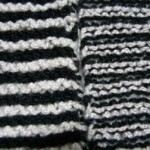 And if you are game for more garter stitch knitting, here’s a webpage with more projects. 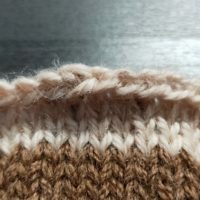 If you need to refresh your memory on how to cast on, how to do the knit stitch and the purl stitch, and how to bind off, please go to this page for knitting beginners. Or you may want to learn directly from an expert. Craftsy has an online course where you can do just that. It’s called Adventures in Garter Stitch by Vicky Square. Hone new garter stitch skills alongside knitting author Vicki Square as you create a stylish triangle scarf, an eye-catching open lattice scarf and a personalized tote bag! Start with tips for smooth cast-on and accurate gauge measurements. Then, knit your own chic triangle scarf with professional edges, increases and decreases, fascinating colour changes and techniques for fuss-free finishing. Breeze through an open lattice scarf with all the chart-reading and knitting tricks you need to make this beautiful buttonhole pattern a stunning success. Plus, take your knit-stitch skills even further as you create a sturdy tote bag you can customize to complement your style! Use the garter stitch in new ways as you graduate from the basic scarf to more exciting, impressive accessories.